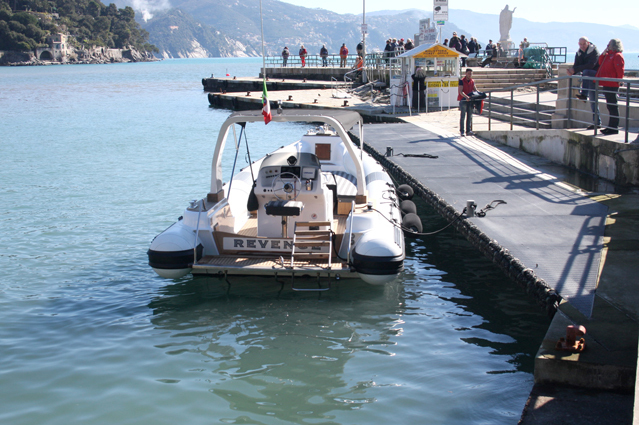 This rubber boat is the fastest way to reach the Gulf of Tigullio and explore its wonderful coastline. 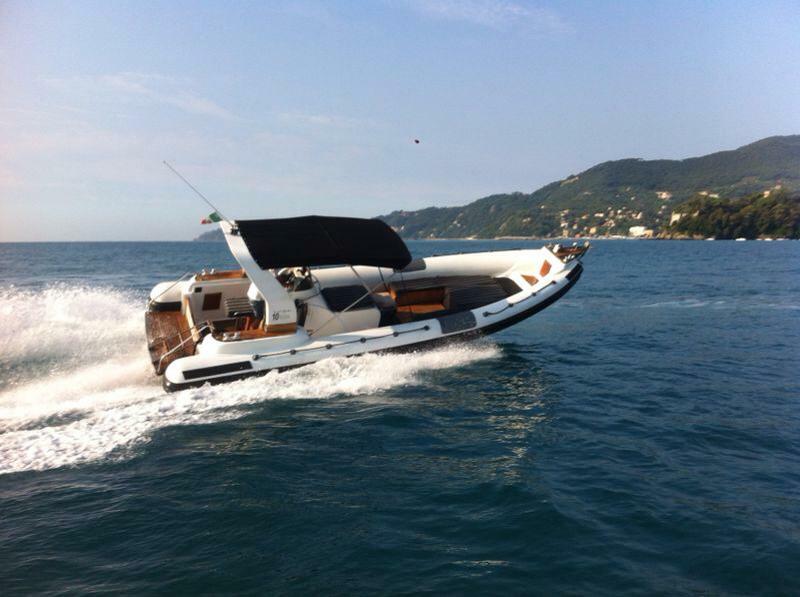 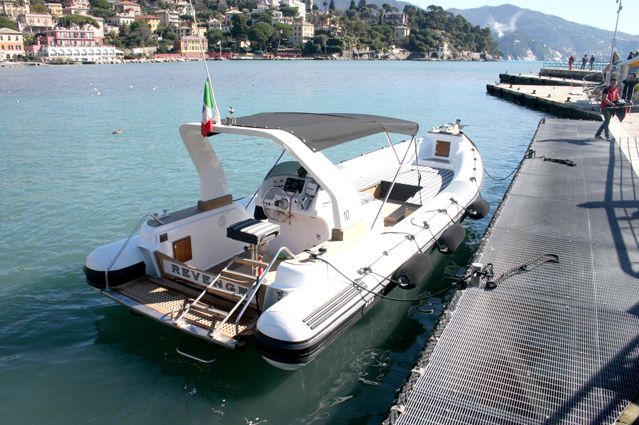 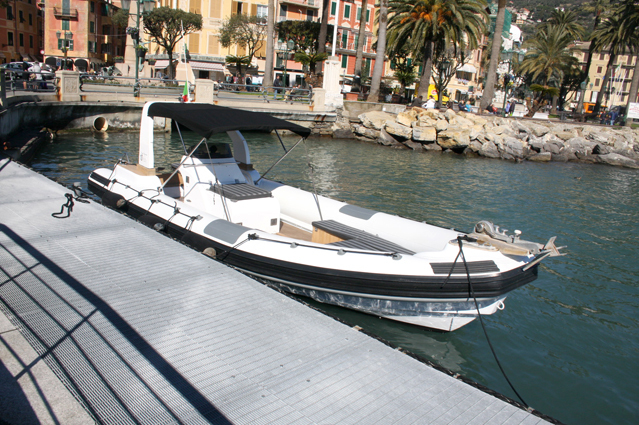 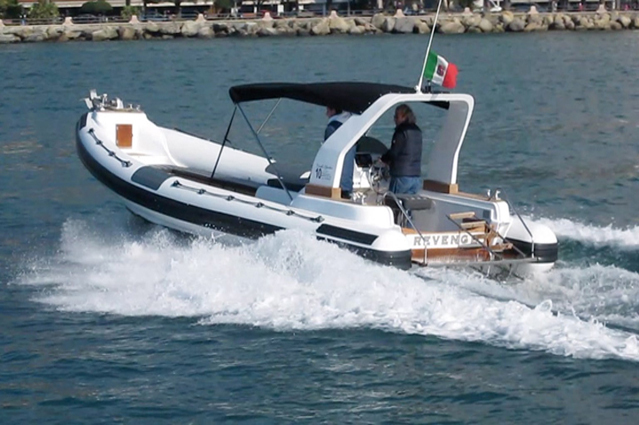 Boat Properties: Up to 12 passengers, 8.40 mt long, 300hp., fridge, sun tent, shower. 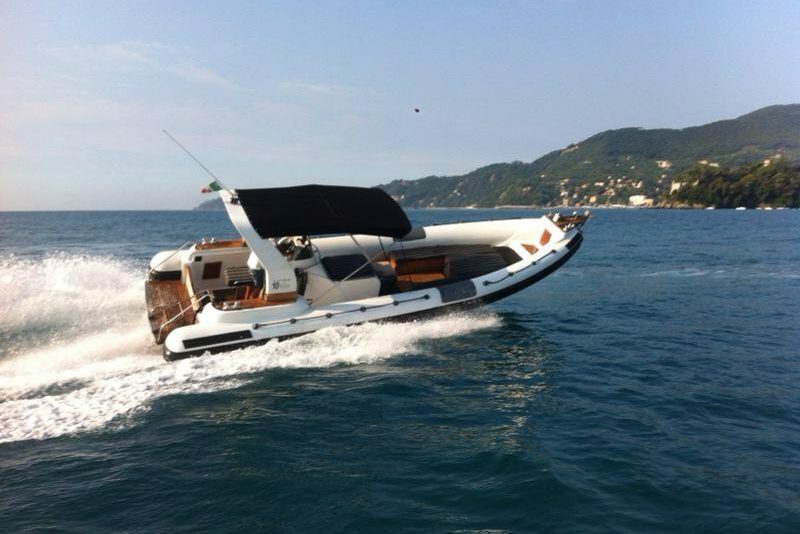 Included in the price: Skipper, fuel, drinks and snacks on board.